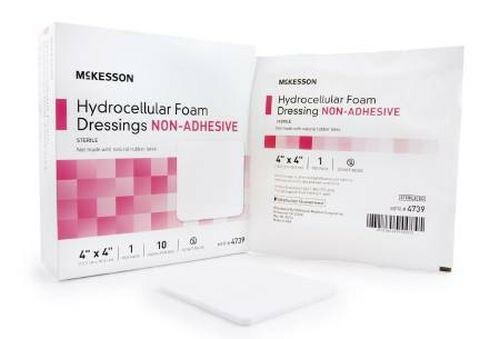 Non-Adhesive Hydrophilic Foam Dressings by McKesson are a high-quality wound dressing that are used as a primary or secondary dressing for wounds with moderate to heavy exudate. Their highly absorbent central hydrocellular foam layer effectively absorbs wound drainage, while the special formulation helps to maintain a moist healing environment at the wound surface. 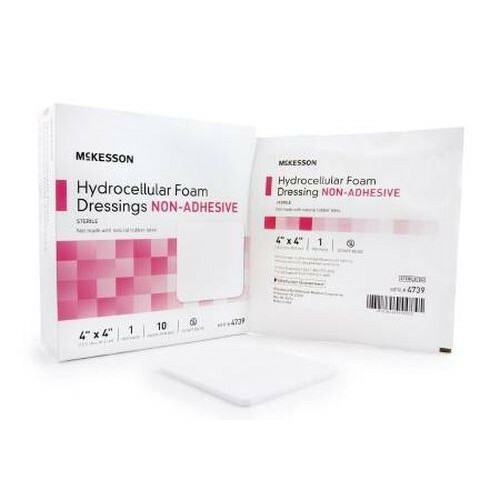 The Non-Adhesive Hydrophilic Foam Dressings feature a waterproof and breathable outer layer that does an excellent job of protecting the wound from outside contamination and prevents strike-through of the exudate or drainage, while the soft and cushioning material helps to provide better comfort and protection for the user. Vitality Medical also carries other items that would pair well with the Non-Adhesive Hydrophilic Foam Dressings, such as CURITY Alcohol Prep Pad Wipes and Coban Tape Self Adherent.